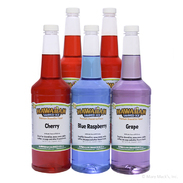 Enjoy all of our top shaved ice syrup flavors at Hawaiian Shaved Ice in perfect packages. 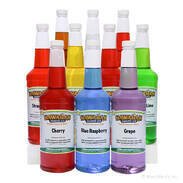 Each top syrup flavor package can be purchased in different sizes � pints, quarts or gallons. Order as much as you'd like within your budget. 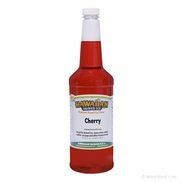 Choose from four different packages featuring favorite syrup flavors � cherry, tiger�s blood, blue raspberry, root beer and many more. 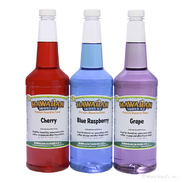 With a selection of delicious shaved ice and snow cone syrups all in one place, you�ll be ready to break out the snow cone machine at a moment�s notice. Giving you more time to spend with friends and family. Pairing these popular picks with your shaved ice and snow cone machines will make you one cool party host! Perhaps, you're desperately trying to entertain kids, then an afternoon of snow cone making will be the perfect solution.